What a great addition to any Brazilian Clay Collection then these clay bowls. They come with their individual wire trivets and are great for serving those Brazilian specialties. Of course, since they are clay, they can go onto heat or in the oven for au gratin recipes. 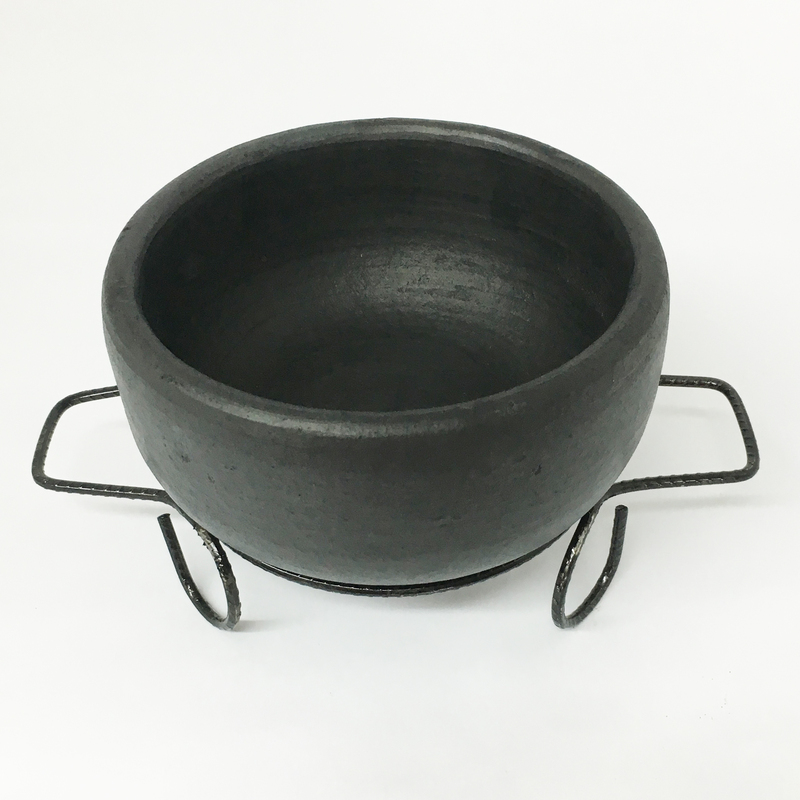 The Brazilian Clay Items are truly rustic items, and although similar to Black Clay La Chamba Pots, they are not as smooth. As with most handmade products by artisans around the world, the pieces may have slight imperfections in the form or finish of the materials. Sometimes sizes of same model pieces may also vary slightly, however, these imperfection do not compromise the aesthetics or functionality of the pieces and are considered normal and to be expected. Brazilian Clay Items are rather heavy and have thick walls and therefore quite sturdy and can last many years. Still, they should be handled properly and with care. The pieces can be used in the oven, in the microwave or a stovetop, and can go directly to the table for an exotic presentation. The pieces can be used directly on a gas or electric range, however, it is recommended to use a heat diffuser on electric ranges. The heat diffuser (which can be used with gas stove as well) has the added benefit of distributing the heat slowly to prevent foods from burning. Clay cookware can also be used on induction cooktops with the use of an induction cookware interface disk. Before a Brazilian Clay Bowl really does not need to be cure, however, if you notice that liquid is seeping through, you can cure them the same way you would one of the Pots.